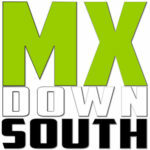 Saturday night was the final race Supercross race at the Georgia Dome. Check out our 250cc gallery from Saturday night’s heats, LCQ, and main event won by Zach Osborne. Zach was a former at KTM Jr. Supercross winner in the Georgia Dome so it was fitting for him to pick up his first supercross victory in the Dome’s final event. All photos in this gallery were shot by Chad Martin, MXDS. Ferrandis got out in front in his heat race and finished second to Adam Cianciarulo. Ferrandis has shown flashes of being very fast. Alex turned a 5th place heat finish into a podium finish in the main event. The much hated sand section! Renzland get a tast of the ATL sand! Archer battled his way to a 3rd place finish in the 250 LCQ. Tony Archer (285) and Cody Williams (677) fight for the holeshot of the 250 LCQ as Luke Renzland (50) slips to the inside and into the lead. Cartwright grabbed the holeshot of heat 2 but finished 15th. He has battled a stomach illness for the past week, and was really feeling it on Saturday night. Hopefully Josh gets better before Toronto.